Tonight is Episode 2 of “Dudes on the Porch” Again, this is a group of my friends who get together regularly to sample wine. They agreed to do a video session for the blog and we had a blast. Of course, we tasted the wines all in one evening but I cut it into six episodes with a new one scheduled for each night this week. You can go back for any you may have missed. 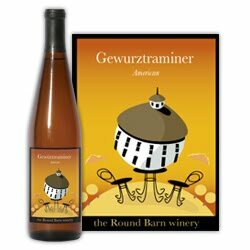 Tonight’s wine is another from Michigan, Round Barn Winery’s Gewurztraminer. The wine has been a popular selection, in recent years, for Thanksgiving. It is one that many will like because of its very floral and spicy characteristics. Check out the video. The first two wines tie in with my piece currently up on Palate Press about Michigan wine. 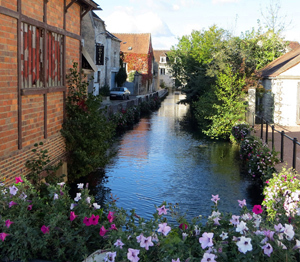 But you can find Riesling and Gewurztraminer widely available from many different regions and in different styles. Riesling is usually avaliable in most supermarkets.